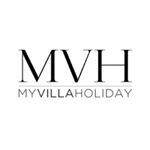 My Villa Holiday is a curated guide to luxurious villa holidays in Bali. We offer over a personalised service of 300 holiday villas for rent across Bali and Lembongan island. Villas range from single room to resort style opulence with prices from less than $200 a night to $4,500 a night. Our service includes bespoke search and holiday planning including booking and planning of activities and special services.